You know how much I love fast and easy recipes. When the Texas Beef Council asked if I would be interested in trying out some tasty beef recipes, I was like, um…. YES! Not to mention, I figured my good friend Jaci would appreciate this. She has hinted around a couple of times that I sure do share a lot of chicken recipes. Let me also add, this would make an excellent lunch idea. Especially for a lazy Sunday afternoon. 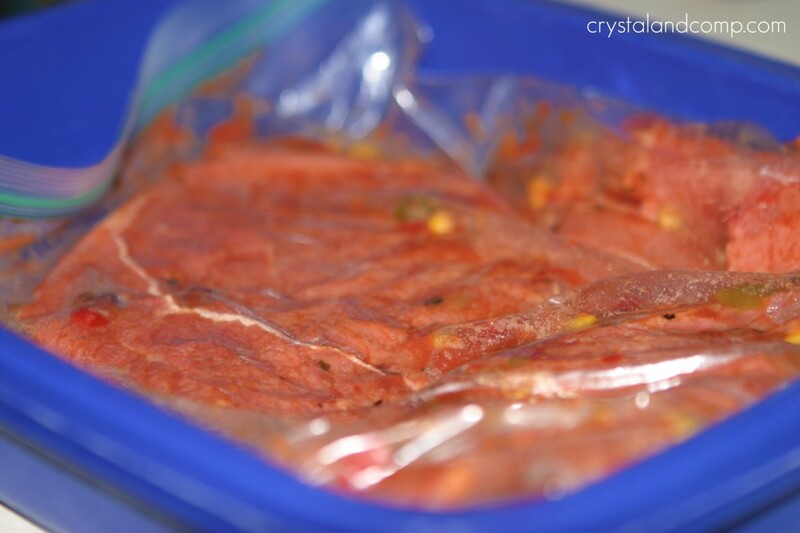 Toss your steaks in a gallon size ziplock bag. Dump in 1/2 cup of the salsa and swish the steaks around in the bag to coat evenly. Toss the bag in the fridge and let them marinate for 15 minutes-2 hours. Once they are done marinating, it is time to grill them. It is cold and rainy here in Texas today, so I used my indoor electric grill. You can also grill them on the stove top. Grill over medium heat for 12-16 minutes. Read more about beef cook times on the Texas Beef Council’s site. Once it is done cooking, let it rest and cool before cutting into it. 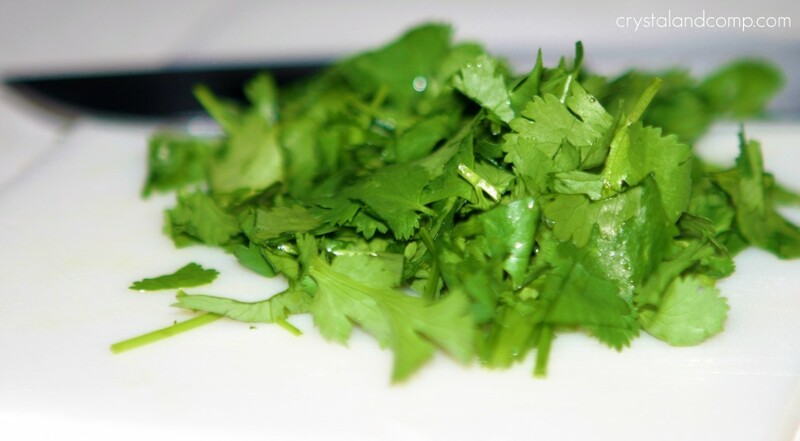 While your steak is cooking and resting, chop up some cilantro. 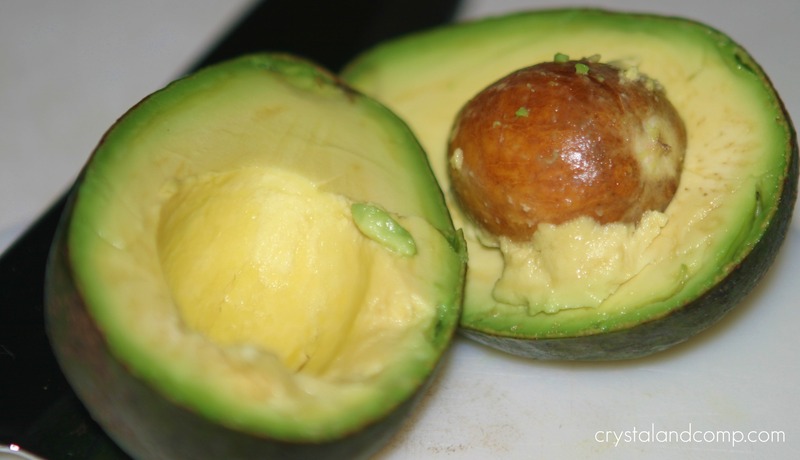 Cube up your avocado, or prepare some guacamole. Place your tortilla chips out on a platter. Top each chip with a scoop of the reserved salsa. 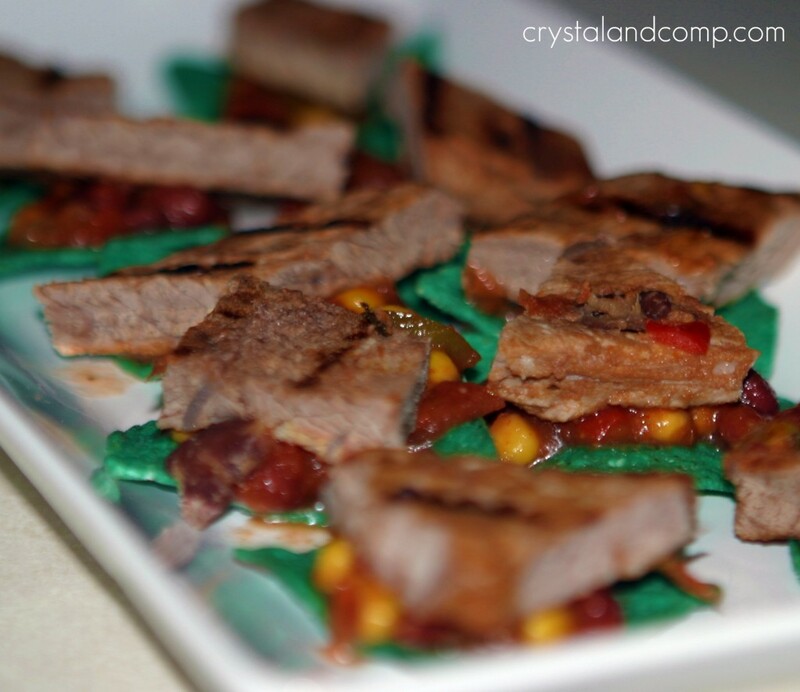 Cut the steak into bite-size pieces and place a piece of beef on top of each salsa chip. Finally, top each beef slice with some guacamole or an avocado cube as well as some fresh chopped cilantro. These are amazing and so easy. Your holiday guests will love them! 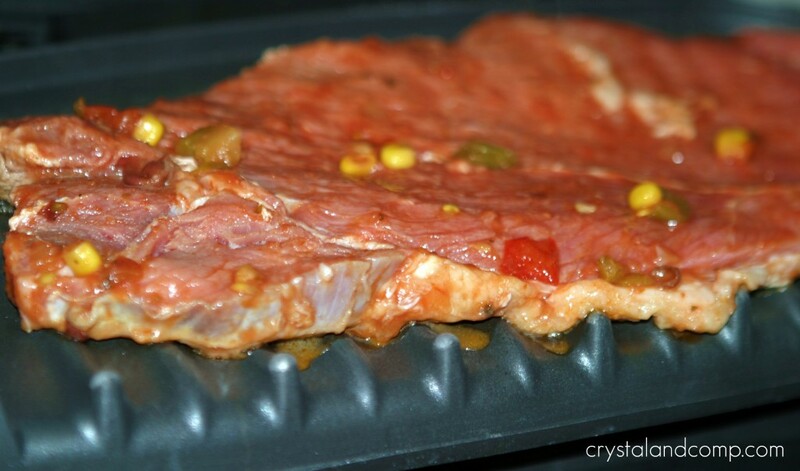 Dump in ½ cup of the salsa and swish the steaks around in the bag to coat evenly. Grill over medium heat for 12-16 minutes. Read more about beef cook times on the Texas Beef Council's site. Those look so good– I think I am going to have to try those as well. 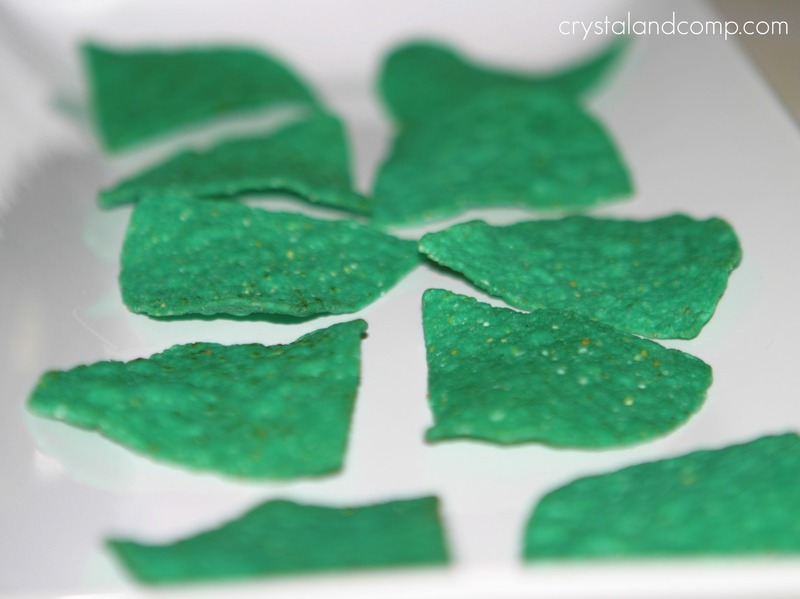 I especially like your green tortilla chips! FUN! The kids loved the color chips. I had some apprehensions buying dyed chips, but we went for it. Thank you so much for stopping by, Amy. I love your site. Wow, amazing, all these colors! Very mouth watering indeed! 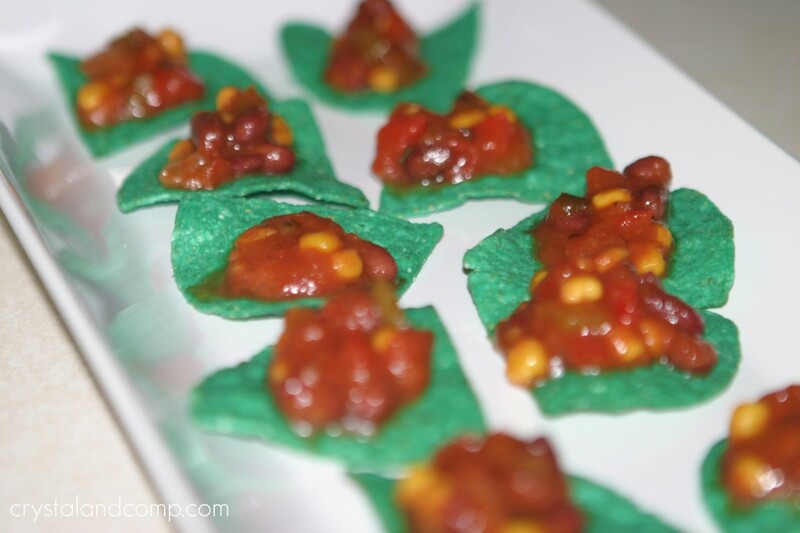 This is such a perfect appetizer, for Christmas too! Great job Crystal!! These look amazing. My belly is rumbling as I write this comment. Love the avocado and the steak combination. Thanks so much!! Thanks Jennifer! I am so glad you love them. these look really good! i love a nice simple recipe! This looks great! 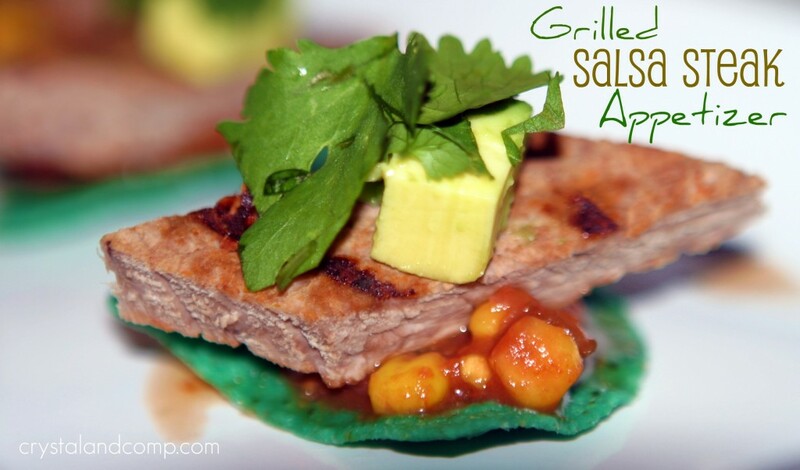 and for a no/low carb version, just the meat/avocado/salsa would be great too! This looks amazing! I have the perfect guacamole recipe to use with it! This is perfect for those parties when you are only serving finger foods especially for the boys they really don’t care for hummus and artichoke dip. Delicious! The flavors are right up my alley, my husband loves it too!